We’re here to help outfit you with the perfect active workstation for your space. Check out our recommendations below, or contact us for a personal consultation. 1.) 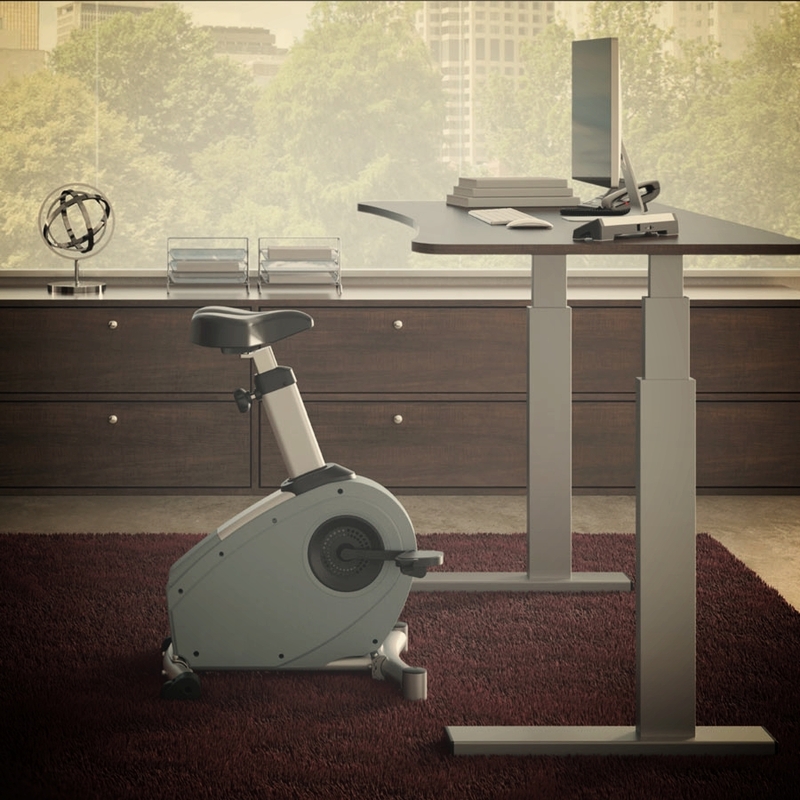 Bike Desk or Treadmill Desk? Which should I pick? Do you prefer to bike or walk? Whether pedaling or walking, treadmill desks and bike desks both offer a host of health benefits. However, they do have unique attributes that should be considered to determine which is best for you. Check out our Recommendations section for more information. Bike desks are our latest line of active workstations. Bike desks allow people to sit, but do require more conscious effort from the user, as a pedaling motion is not motorized and therefore not as natural or automatic. Treadmill desks are our most popular form of active workstations, as walking is very natural and instinctive for most people. The gentle, consistent motorized belt movement makes it easy to become accustom to walking while working. 2.) Space Planning: How much room do I need for my treadmill or bike desk? You will need approximately 6 feet to support the length of the treadmill with a recommended 3 feet of clearance behind the treadmill. The standing desk you pair with your treadmill can range from 38 inches wide to 72 inches wide. You will need approximately 2.5 feet to support the length of the bike desk recommended 3.5 feet of clearance behind the bike desk. The standing desk you pair with your treadmill can range from 38 inches wide to 72 inches wide. 38’’ inch wide desk: If you plan on using your treadmill desk in a cube or other space-constrained environment, 38 inches is the most common choice. 48’’ inch desk: If space is not an issue and you’re the type of personal that likes to sprawl out, our larger 48’’ desktop may be an attractive option. 72’’ desk: If you plan on utilizing a sit-to- stand setting where you place the treadmill on one side of the desk and stool or chair on the other, a 72 inches wide desk is recommended. For sit-to-stand workstations, remember to not only consider the size of the desk, but also the inside dimensions between the posts to give you ample space to slide in a chair. 3. Noise: Are treadmill and bike desks noisy? Many of our customers were initially concerned about their treadmill or bike desks being too noisy for an office environment. While the hum of the motor and the impact from your footstep does produce noise, most people have found it to be minimal – a white noise comparable to a ceiling fan. From a technical perspective, the decibel level produced by the treadmill itself is dependent on the speed: 1 mph is 47dB, 2 mph is 50.1 dB, 3 mph is 54 dB, and 4 mph is 59.8 dB. This range is louder than a whisper but quieter than a conference call. More practically speaking, we have found it often isn’t the treadmill or bike desk, but rather the user that produces the noise. Hard-soled shoes, foot dragging or scraping, and stomping all tend to be distracting to those around them. We recommend wearing a soft-soled shoe (your feet will thank you), walking at a casual pace (1 to 2 mph) and actually picking your feet up when you walk. Follow these simple guidelines and everyone around you will be happy campers. Use an equipment mat: placing an equipment mat (link to the equipment mat we sell in the accessories section) under your treadmill desk helps to reduce sound from floor vibrations. Use a privacy screen: not only do our privacy screens (link to the privacy screen we sell in the accessories section) shield the body of the treadmill desk users, they also reduce noise. Take care of the treadmill belt: Occasionally, the treadmill belt may begin to slip to one side of the treadmill, producing a rubbing or grinding sound. When looking at the center of the treadmill you will be able to clearly tell that the belt is no longer centered within the frame of the side rails. This can easily be adjusted. For help centering the treadmill belt, this video tutorial does a great job of stepping you through the process. Further, we recommended that you lubricate your treadmill belt every three months with a silicone based lubricant (link the treadmill desk lubricant we sell in the accessories section). This will help cut down on noise due to friction as well as increase the lifespan of your treadmill. Here is a great one-minute video tutorial on the easiest, mess-free way to do this. 4. Safety: Are treadmill and bike desks safe? The short answer is yes. However, even though treadmill and bike desks have been proven safe over the years, the question of safety still comes up for discussion. Walking on a treadmill desk while typing on your computer or talking on a conference call is much like walking down the street while using your smartphone. In fact, without the added obstacles of other people, cars, etc. it is probably safer. Even so, we understand the concern for HR in adding them into the workplace. After all, walking while working is a fairly new concept (and bike desks are even newer) and few people have had the opportunity to try them out for themselves. Because of this, we have added a variety of safety features to all of our treadmill and bike desks. Maximum Speed: Our treadmill desks can go up to 4.0 mph. However, as a safety precaution, we have a setting that can limit the treadmill desk to a maximum 2.0 mph speed setting. Safety Key: similar to traditional treadmills, our treadmill desks include a safety key for users to clip to their clothing. Should the user slip, the safety clip will release and immediately shut the device off. 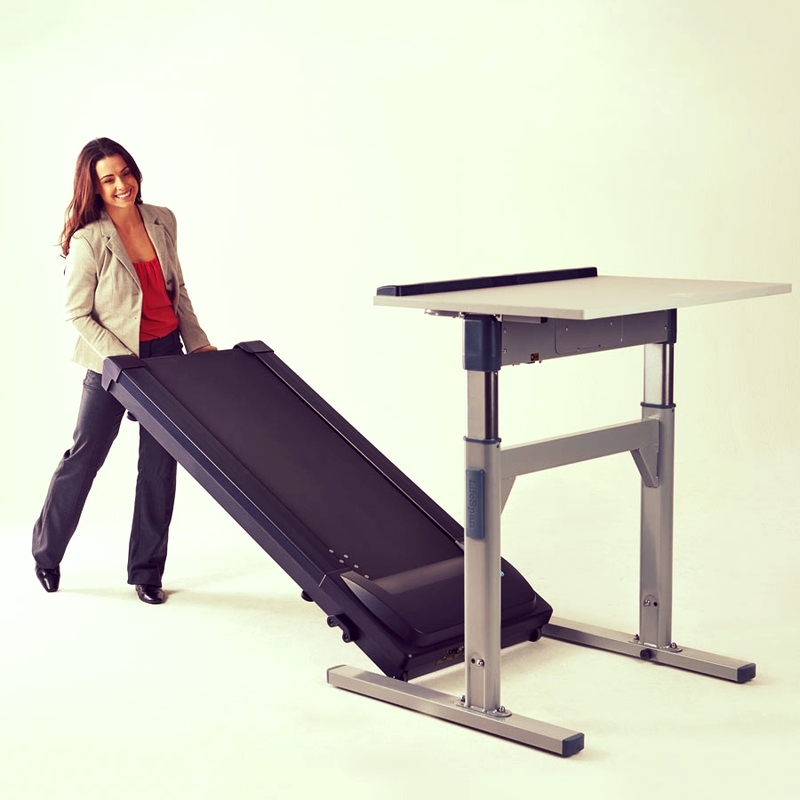 Auto Pause: As a backup safety mechanism to the safety clip, our treadmill desks are intelligently designed to automatically stop should they detect the user hasn’t stepped on the treadmill belt for more than 30 seconds. This automatic pause feature is incredibly useful in the rare event that the user were to fall or lose footing. Side Rails: A treadmill’s side rails run parallel alongside the treadmill belt, providing a stable place to stand while the treadmill belt is in motion. Wrist guard: our treadmill and bike desks include a wrist guard that not only supports proper ergonomic form, but also can be used to grab onto should a user slip. 5. Warranty, Service, Maintenance: What do you offer? What can I expect? We recommend you visually inspect and clean your treadmill desk every 3 months, make sure the walking belt is properly centered, and (for the corporate-use treadmill desks) lubricate the belt. Basic maintenance will improve the life of the treadmill or bike desk. Our treadmill and bike desks are very reliable. However, in the event that you experience an issue with your equipment, just contact us. During the warranty period, if a problem exists, we will assist you in diagnosing the problem; ship the appropriate part for repair, and dispatch a service technician to complete the repair. We also offer 3-year and 5-year extended warranties (link to special order section).